Budweiser is getting a new look as its parent company tries to revive weak sales in the U.S.
Anheuser Busch unveiled a bolder, sleeker design for its cans Wednesday that puts a heavy emphasis on the "bowtie" design it has made a focus in recent marketing. 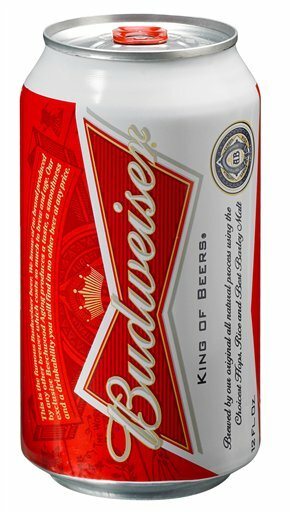 It's the 12th redesign since Anheuser-Busch began offering Budweiser in cans in 1936. The new cans will appear in the U.S. in coming weeks and in other countries later this year as the brewer tries to build the iconic U.S. brand's sales in emerging markets. Budweiser is one of the world's best-selling beers and a top brand for parent company Anheuser-Busch InBev SA. But, like many competitors, its sales have suffered in the U.S. as consumers have faced high unemployment. Recent employment trends are particularly hard on its core customers — young men. The company said last quarter that it had sold 2.3 percent less Budweiser worldwide primarily because of a drop in the U.S. Its volume rose in some international markets. Anheuser-Busch joins many U.S. consumer product makers in looking for growth among the burgeoning middle class in emerging markets. The brewer introduced Budweiser to Russia in 2010, is expanding its business in China and plans to take the brand in Brazil in 2012. "The new design is the latest in one of many steps to reinforce Budweiser as a truly global brand," said Rob McCarthy, vice president of Budweiser. Anheuser-Busch InBev, the world's largest brewer, reports its quarterly results next week. Its top competitor in the U.S., Molson Coors Brewing Co. reported Tuesday that its second-quarter profit fell because price increases it made this year weren't enough to offset cost increases and a drop in sales and volume. Brewers are struggling with higher costs for ingredients, packaging and fuel. Anheuser-Busch InBev also has raised prices to offset those increases.